Frankfurt, Germany is a major transportation hub in Europe and a common destination for long airline layovers and multi-day stopovers. 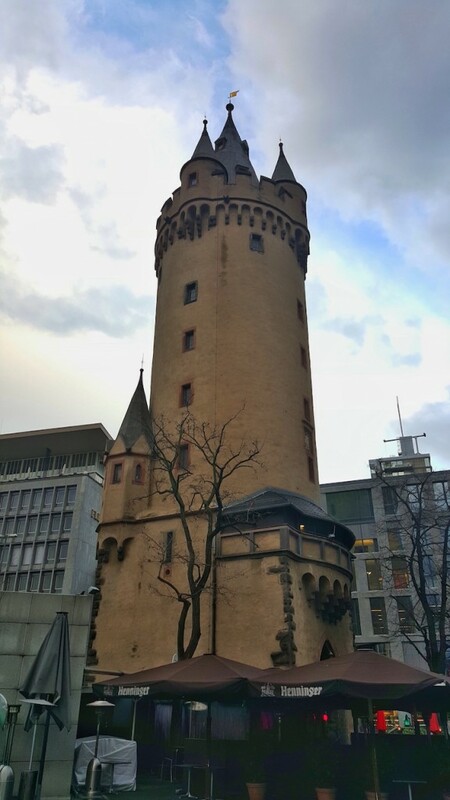 Frankfurt city center is close to the airport and relatively cheap to get to compared to other European cities, making this it a great choice for a layover. 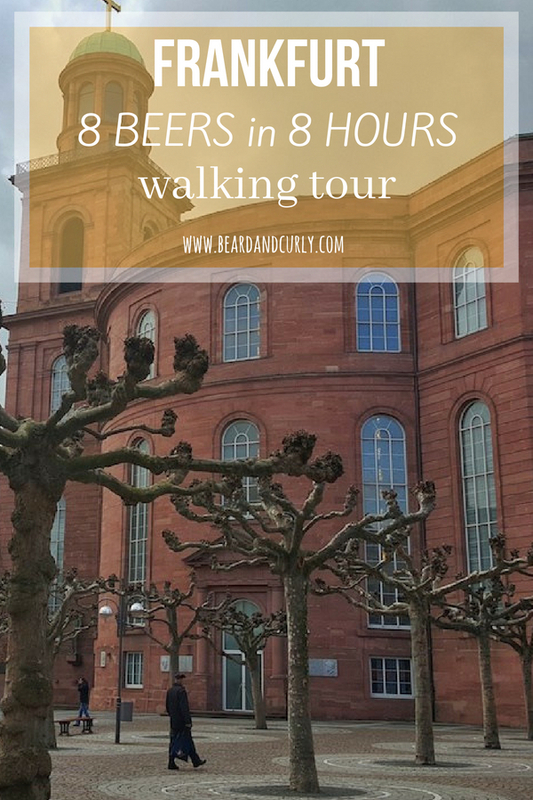 With enough time, what better way to explore Frankfurt than a fun walking/beer drinking tour! Bag storage is located in the main departures lobby by Terminal C.
Cost: 7EU per bag for 2+ hours. They close at 10pm. Take the Underground (train) from the Airport to Hauptwache station (3 stops). 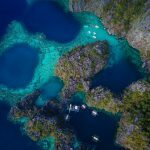 Cost: 9.30EU round trip. 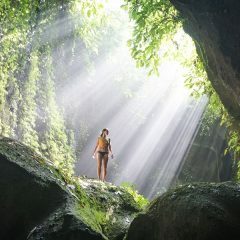 However, if more than 1 person, it is cheaper to buy an all day collective pass for 15.80EU. Machines only take cash. From Hauptwache the walking tour begins. 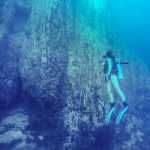 Follow the route of the three maps, with suggested stops for beers on the way. Feel free to improvise and choose your eatery and drink establishment of choice! 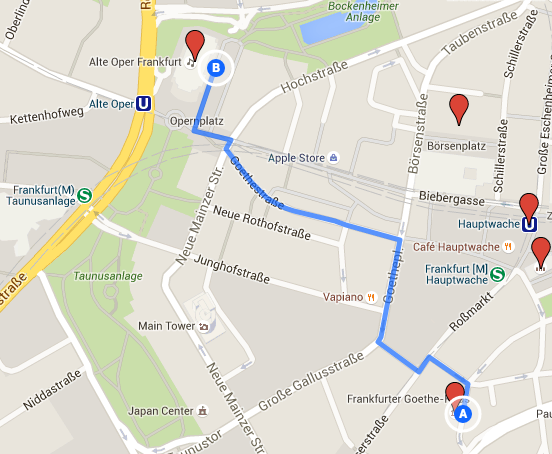 Upon exiting the station, you will be located in the center of Frankfurt at Old Guard Square. On the square is the first attraction, the Lutheran Church of St Katherine (A). From the square, pass the German Stock Exchange (B) on the way to the historic Eschenheimer Tower (C). Built in the 1100’s, it looks out-of-place in this modern part of the city. This tower has a lot of history and has stood for centuries. By this point, the thirst in the back of your throat is probably quenching, right? Don’t worry. Just a couple blocks away walk to Paulskirchie, or St. Paul’s Church (D). Paulskirchie is a very important building in Frankfurts history. 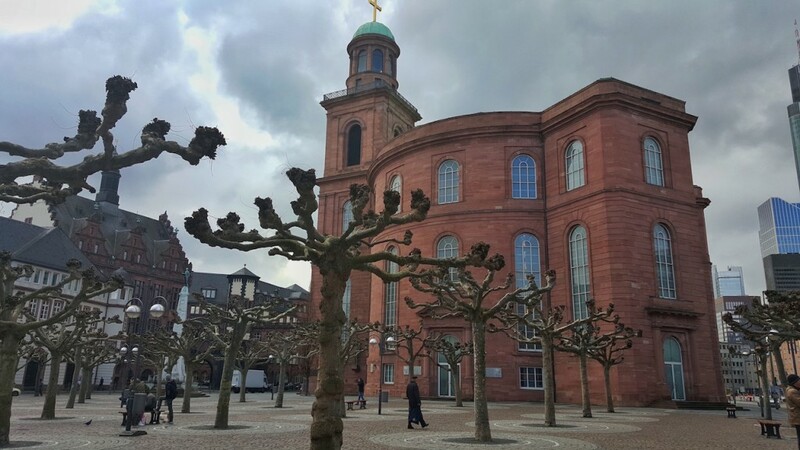 Originally built as a Lutheran Church in 1789, this also was once the seat of the Frankfurt Parliament. 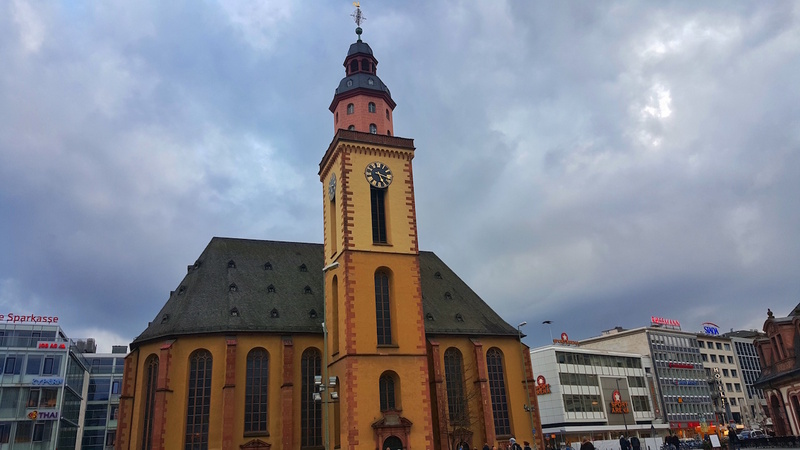 The Church was destroyed in WWII and was the first building in the center of Frankfurt to be rebuilt. Across the street is an excellent coffee shop called Stern. Stop here for a quick break and enjoy a beer and/or coffee. 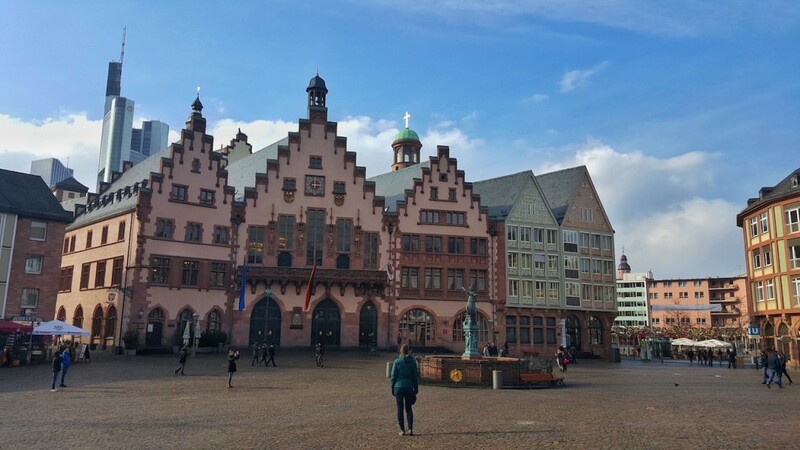 Continue on the way to the famous medieval Romer (E), housing the Frankfurt City Hall. In what is actually 9 houses, enjoy the beautiful views of the front entrances to three of these houses. This is one of the most famous landmarks in Frankfurt. This historic square in Old Town also hosts the Old St. Nicholas Church. One block over, take a stroll on Saalgasse (F) and enjoy the architecture on the way to the Church of St. Bartholomaus (G). Finishing up at this massive church, continue the journey through a touching part of the tour. Visit the Jewish Quarter (H), also known as the Juddengasse “Jews Alley.” One of the oldest Jewish ghettos, and once the largest Jewish community in all of Germany. The Jewish Quarter has several remembrances. 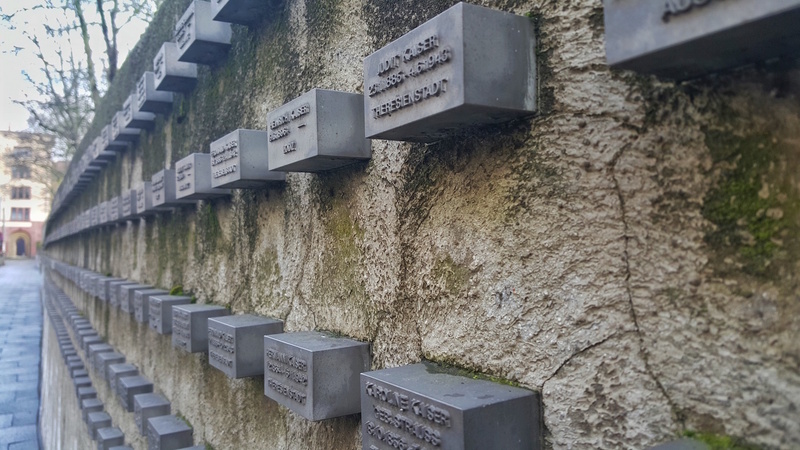 The Holocaust Wall of Remembrance is a must, and if you have enough time, check out the Museum Juddengasse. Quick Stop at the Pub! 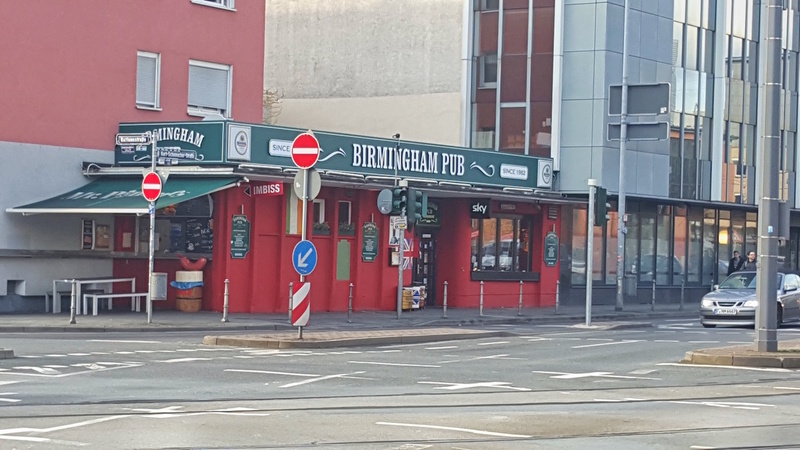 After a touching walk through the Jewish Quarter, head to Birmingham Pub (I) for a beer. Getting hungry? 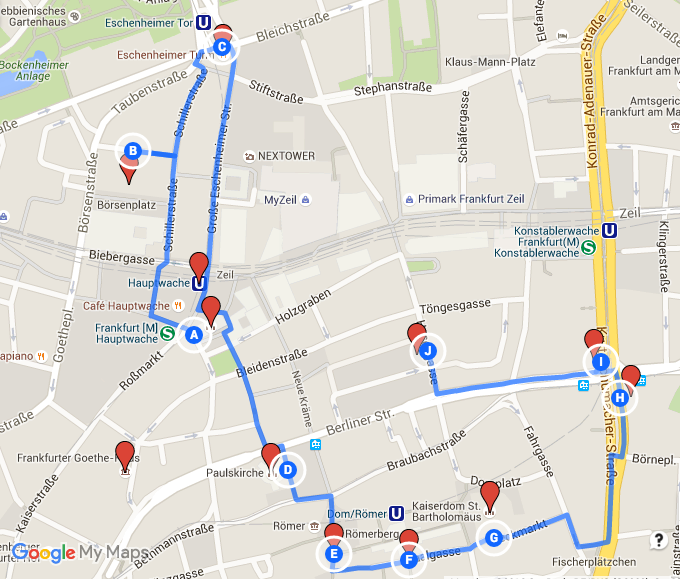 Just a few blocks away is Kleinmarkethalle (J). The Klein Market is excellent and affordable food in a farmers market setting. 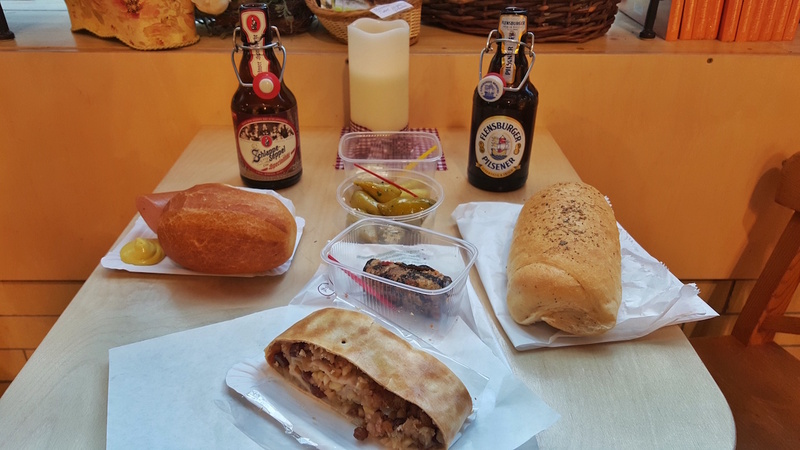 Choose from fresh produce, different types of German sausages, cheeses, breads, meats, fish, as well as stalls specializing in Italian, Mediterranean, or Asian products. And of course pick up a couple of beers. 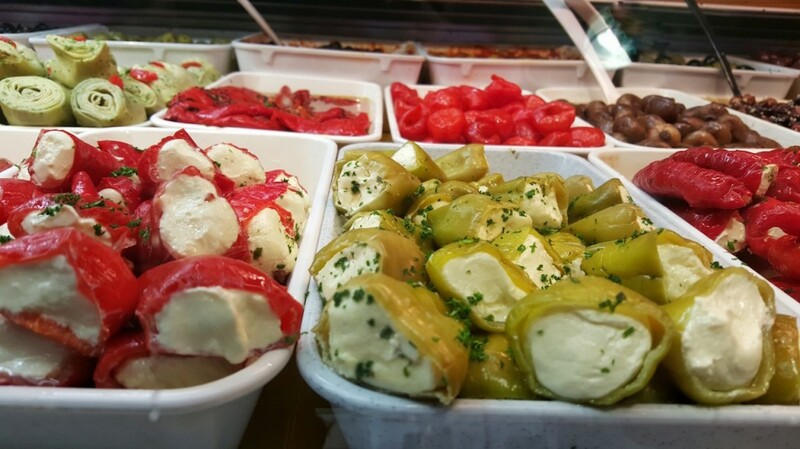 Kleinmarkethalle Hours: Mon – Fri 8AM – 6PM and Sat 8AM – 4PM. Leave Klein Market (A) where you can walk off that full stomach with lovely views along the Main River. Walk across the famous Eiserner Steg Pedestrian Bridge (B). 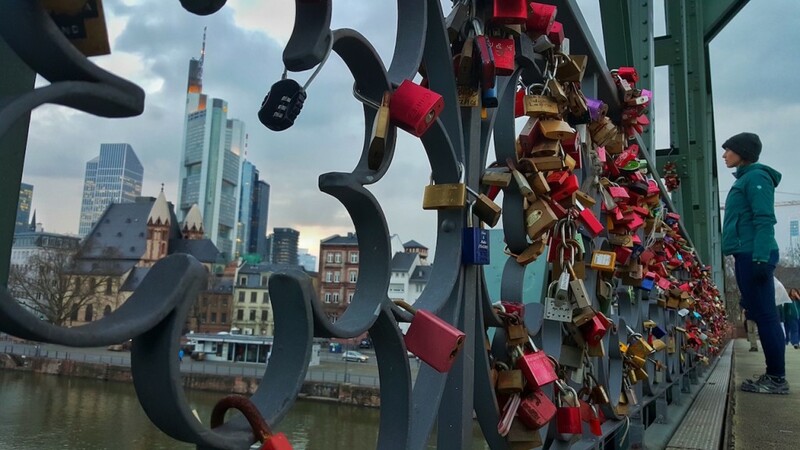 Full of love locks, many people flock to this bridge for photography, especially around sunset. 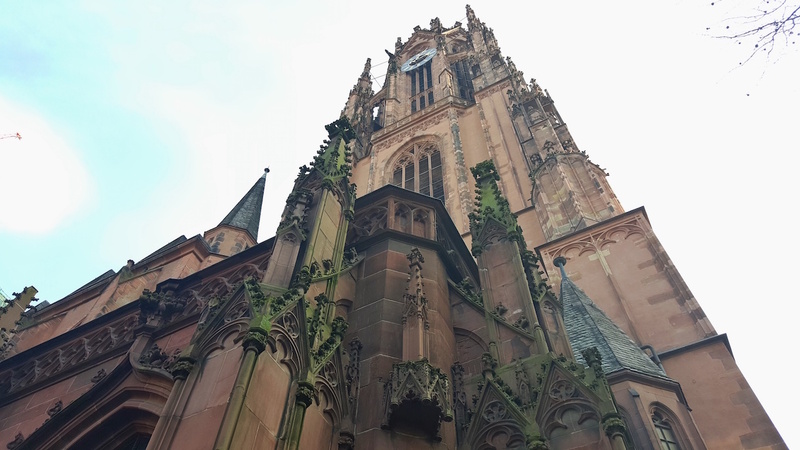 There are excellent views of the Gothic Dreikonigskirche Church. 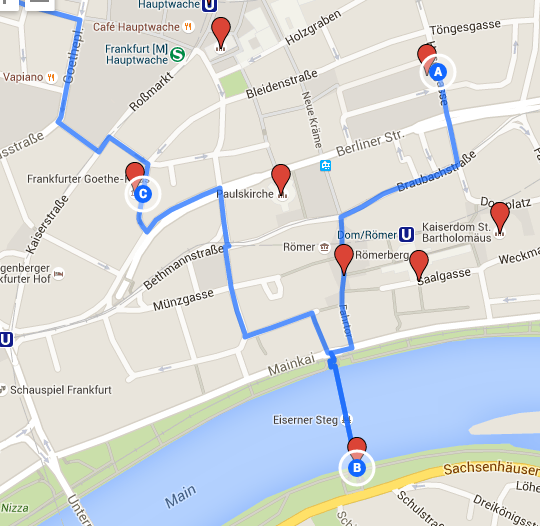 Head back through the city center with a stop at the Goethe House (C). This family residence once housed Johann Wolfgang von Goethe the famous writer, and is next to the Goethe Museum in his memory. 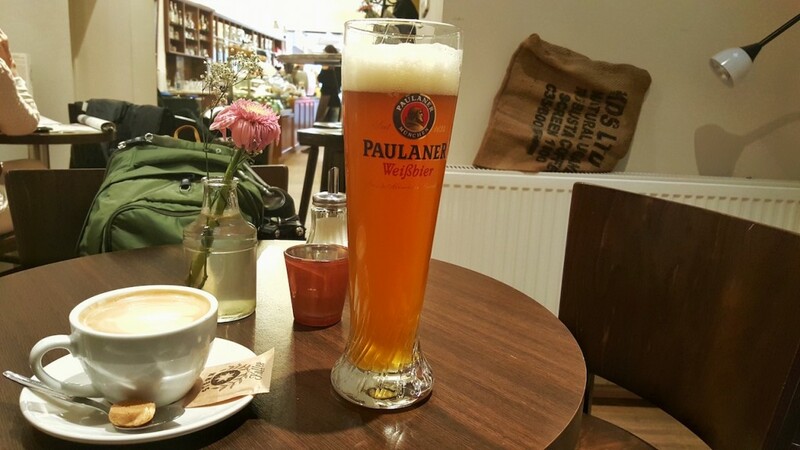 Before heading to the last attraction, enjoy a cold beer at Cafe Karin just around the corner. From the Goethe House (A), pass the shopping area of GoethestraBe on the way to the Alte Oper, or the Old Opera House (B). 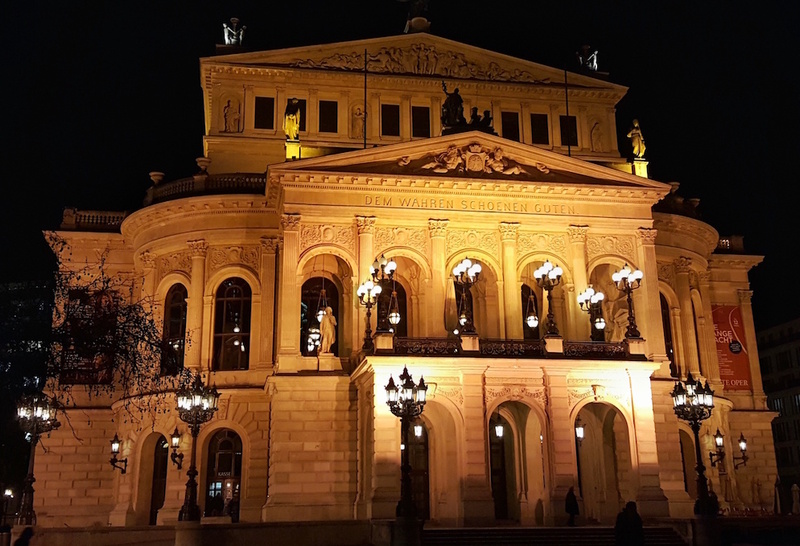 The Original Opera house in Frankfurt was built in 1880, but was destroyed during WWII. It was rebuilt and opened again in 1981. The Frankfurt Opera moved to a new modern building next door. The Old Opera House is still used today, mostly as a music venue and houses a variety of shows. From the Old Opera House (A), walk through the the Bahnhofsviertel district which has many bars and restaurants. 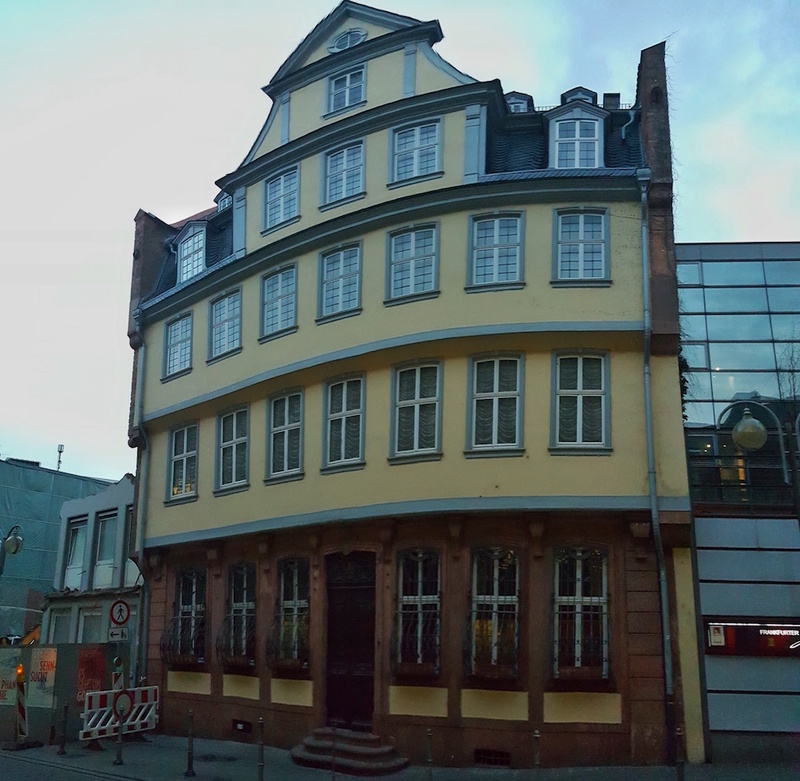 Nearby on Taunusstraße is the Red Light District of Frankfurt. 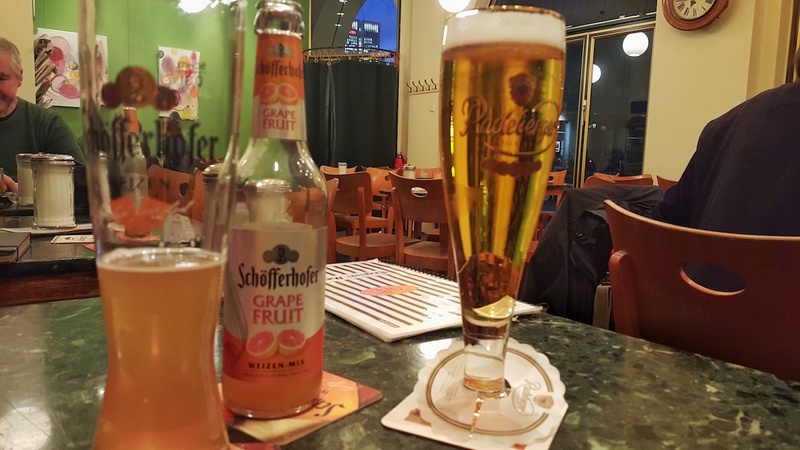 Grab your last beer at a selection of bars and pubs, or go to O’Reilly’s, just across the street from Frankfurt Central Station (B). Head back to the airport, and safe travels home or wherever you are going! 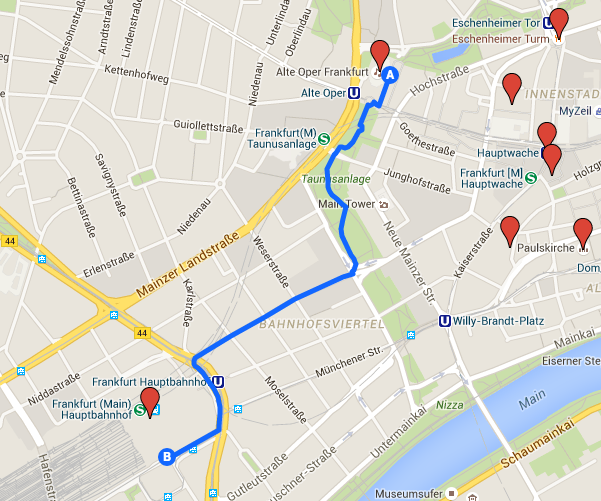 Tip: With more time check out the surrounding area of Frankfurt. The town Heidelberg is easily accessible as a day trip.